It’s Adeline for the Fairytale Club blog today, I am happy to share with you my planner week layout with Everyday wishes kit. This kit inspired me with the umbrella and rainbow because in France those days the weather is so rainy….this is from actuality!!!!! And I wanted to put some shiny, flashy and girly color in my planner. I made my decor with some stickers and ephemeras of the kit. Finally I decided to create a bookmark with a personal size insert, love this umbrella design. I added some ephemeras again and I have a beautiful bookmark in my planner. 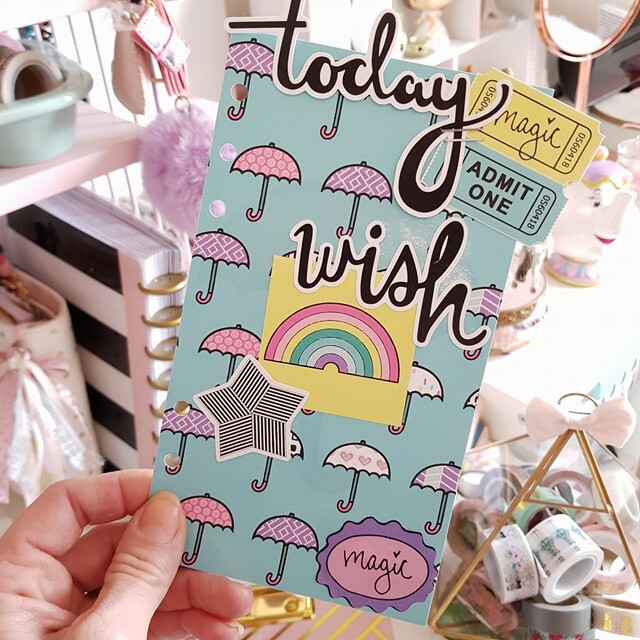 I hope you have appreciated my planner layout with Everyday Wishes kit.